The artist lofts at Lacuna are filled with tons of unique touches from colorful rhino sculptures to structures made of old frames and antique mechanical parts. Add to that exposed brick and beams and it can be overwhelming to try and compete with the decor. 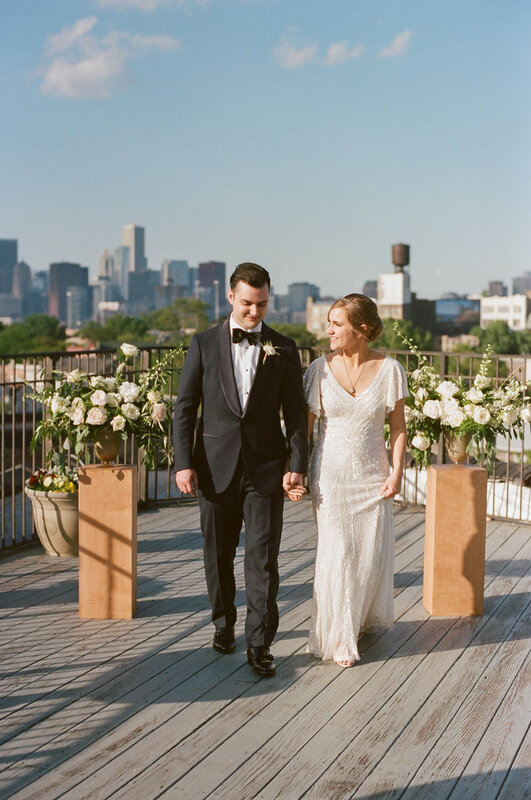 This is why our Bride and Groom opted to compliment the Loft with fresh green garlands and classic ivory blooms. 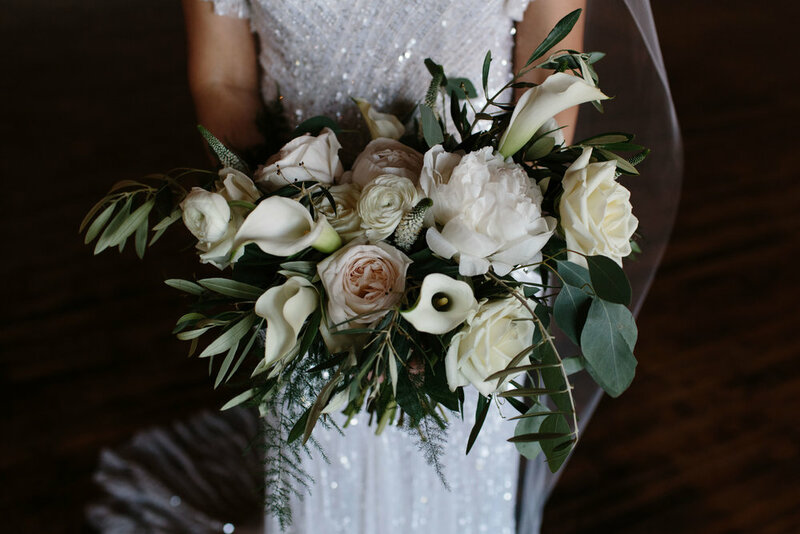 The Bride carried a very naturally shaped bouquet overflowing with peonies, calla lilies, ranunculus, roses and textured greenery. On trend, her bridesmaids carried minimalistic peony bouquets with olive foliage. 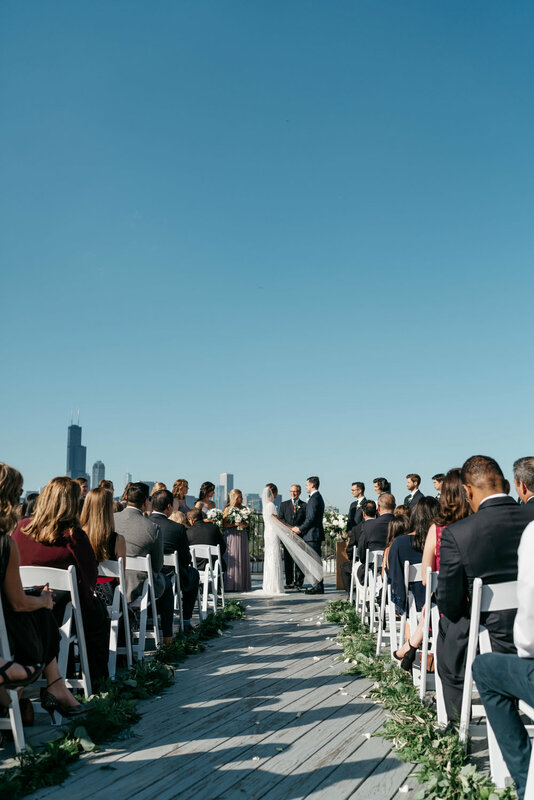 Large arrangements in gold footed vases drew focus to the ceremony space without challenging the city sky line backdrop. 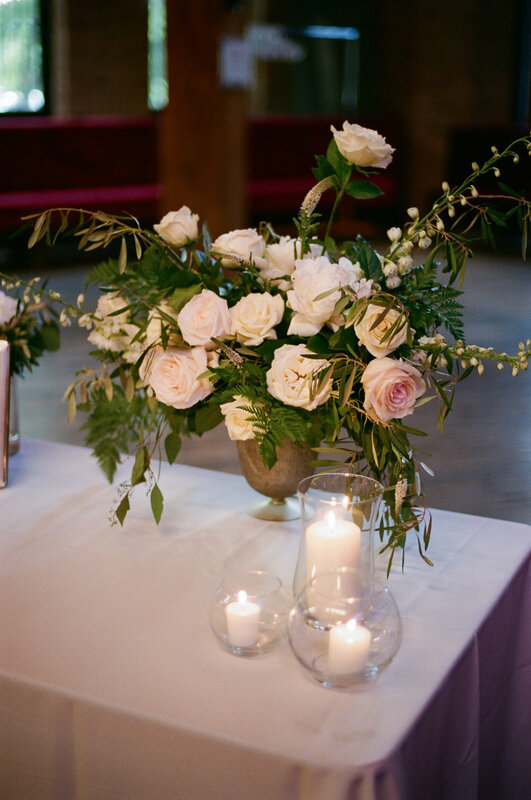 Garlands that lined the aisle were repurposed on the farm tables for dinner with wood slabs and candles (a great money saving tip!). Coordination for this beautiful event was executed by the great ladies at Naturally Yours Events! Check out some detail shots below, courtesy of the amazing Sally O'Donnell Photography!